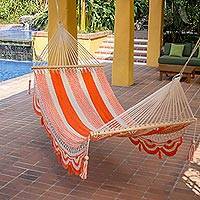 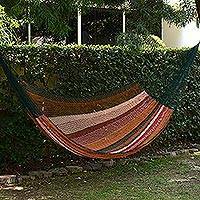 Fair Trade Cotton Hammock from Brazil (Double), "Formosa"
Bright yellow, orange and saffron are woven into an ample and colorful hammock. 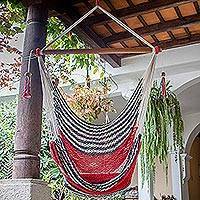 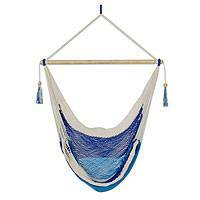 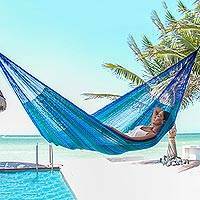 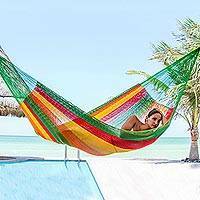 From Brazil's Hammock Artisans of Ceará, the comfortable cotton hammock is finished by hand. 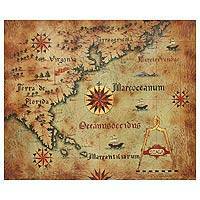 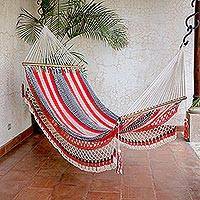 Green and Yellow Cotton Maya Hammock with Red Trim, "Colima"